Almost 20 years ago, I worked on a marketing and communications strategy for Communications Security Establishment Canada, the Department of National Defence surveillance agency that leapt into the headlines this week for allegedly snooping on a Brazilian government ministry. 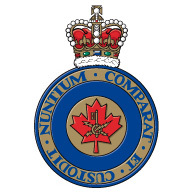 At that time — and probably still today — CSEC had two main functions, the signals intelligence, or SIGINT, stuff that is getting all the attention this week, and communications security, or COMSEC, which was responsible for making sure that the telephones and other communications equipment used by the prime minister and other high-ranking government officials was secure. It was the COMSEC side of the house that hired us because it was considering marketing its expertise to banks and other sectors in Canada that could benefit from the espionage-grade hardware, software and know-how it had available. I believe it was the first time CSEC had contemplated lifting so publicly the veil that had shrouded its existence since its formation at the onset of the Cold War and that had earned it the moniker of “Canada’s super-secret spy agency.” To say it was a fascinating assignment is an understatement. In that pre-911 world, CSEC’s main headquarters across from Canada Post on Heron was a fortress. In a day when people could still drive their cars onto and around Parliament Hill and walk into the House of Commons public galleries without any security checks, it took 15 or 20 minutes to be processed through the security gate at the periphery of the compound. Once inside, red lights would be flashing everywhere to warn those working there that uncleared personnel were on the premises. I vividly recall that filing cabinets had huge red or green panels on them to indicate at a single glance whether they were still open — forbidden so long as we were in the house — or safely locked down. I have grown accustomed to having some element at almost every company with which I engage question the rationale for the marketing or communications work I have been hired to do. I have written often about the pervasive scepticism too many technology executives have for this function of marketing that they view as little more than dark art. At CSEC, the questioning came from a much deeper place. There was considerable and valid concern that an organization so wrapped up in cloak-and-dagger stuff should never willingly allow a light to be shone on any part of activities, let alone openly invite such scrutiny by trying to market its expertise. I had no reason to believe CSEC was doing anything that couldn’t find some decent level of support in a free and democratic society and I argued as much in the first major deliverable I wrote, a situation analysis that discussed the opportunities and risks associated with the marketing initiative CSEC was contemplating. I can’t remember the exact words I wrote, but they were probably something along the lines of, ”If CSEC is engaged in activities that it it would rather not explain to Canadians because it believes Canadians would not tolerate such activities, then it probably ought not be doing those activities.” And I didn’t mean that CSEC would have to reveal chapter and verse of its every clandestine activity; rather, I counselled that it would need to describe in a general way what it did and how it gained legal and political — and thereby social — approval for what it did. Regardless, that line exploded like a grenade both at the consulting firm with which I was working and among the small group of CSEC folks who were our front-line contacts. I don’t know if it had anything to do with it but our assignment was terminated at the situation analysis stage and, to the best of my knowledge, CSEC never did get into the commercial marketing of its COMSEC capabilities. I was understandably fascinated, then, when I read Wednesday morning’s Globe and Mail interview with former CSEC chief John Adams who recommended that, as in the United States and Britain, a special committee of parliamentarians be struck whose members would sworn to the necessary levels of security clearance and to whom CSEC would have to report on its activities. And that if the agency could not justify its activities, it would have to stop doing them. “If CSEC can’t convince the parliamentarians then they can’t convince Canadians – in which case they’d better think of a new way to go,” the Globe quoted Adams as saying in a close echo of my own counsel from 20 years ago. Later that day, the current CSEC boss, John Forster, spoke at the Government Technology Exhibition and Conference conference in Ottawa and mounted much the defence that I would have advocated. CSEC is prohibited from spying on Canadians and does not do so, he was quoted as saying. And everything it does is, including its foreign SIGINT activities, is done within legal limits and subject to oversight scrutiny by the CSEC commissioner. Hopefully, CSEC will be proactive enough in its communications activities from here on in that it will avoid being tarred and feathered over these latest revelations. Interestingly, the agency today, along with Canada’s civilian spy agency, the Canadian Security Intelligence Service, and various government departments, actively participates in briefings to industry groups to encourage and help them defend against cyber-threats. This is as good a support-building mechanism as could be conceived, even if CSEC is still not in the business of marketing its services.